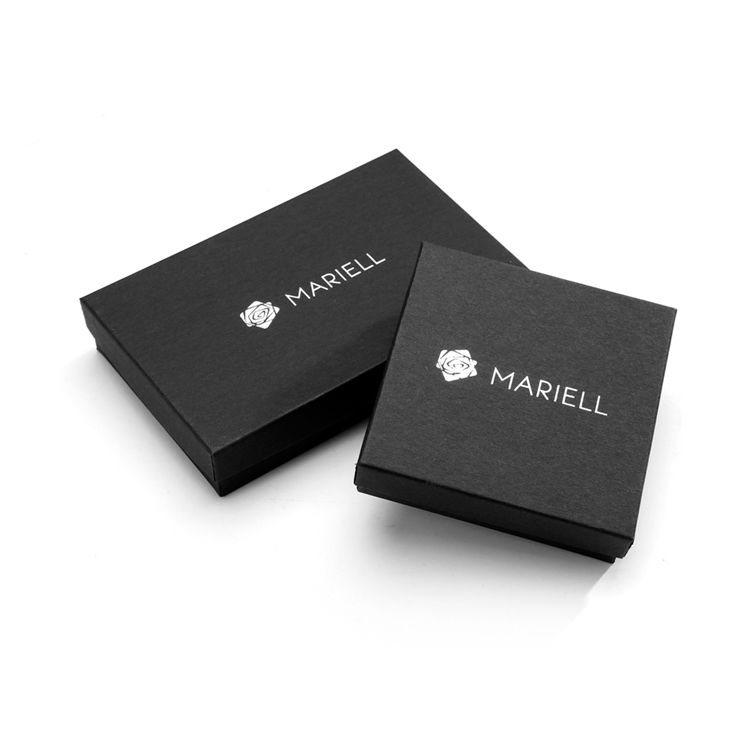 If you love art deco glamour, you'll love this stunning 14K yellow gold plated gold necklace and earrings set from Mariell! 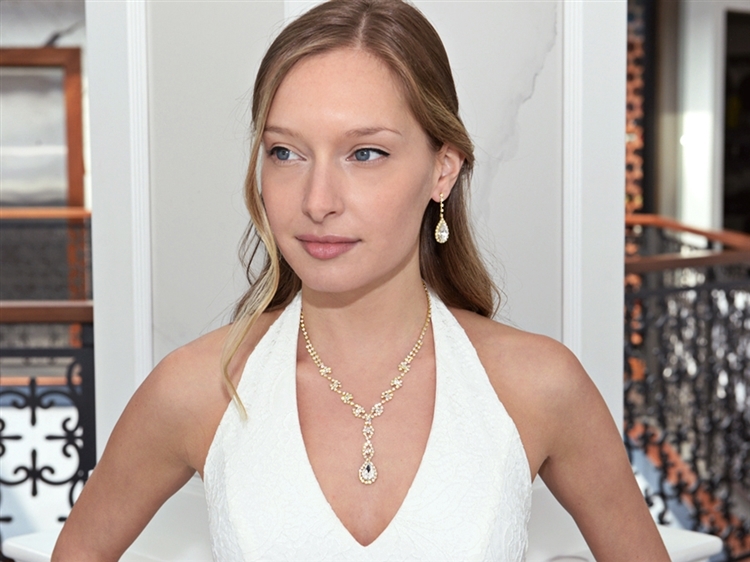 The necklace adjusts from 12" - 18" with a drop 2" long and 1/2" w, and the earrings are 1 1/2" h x 1/2" w. Perfect for any wedding or mother of the bride! 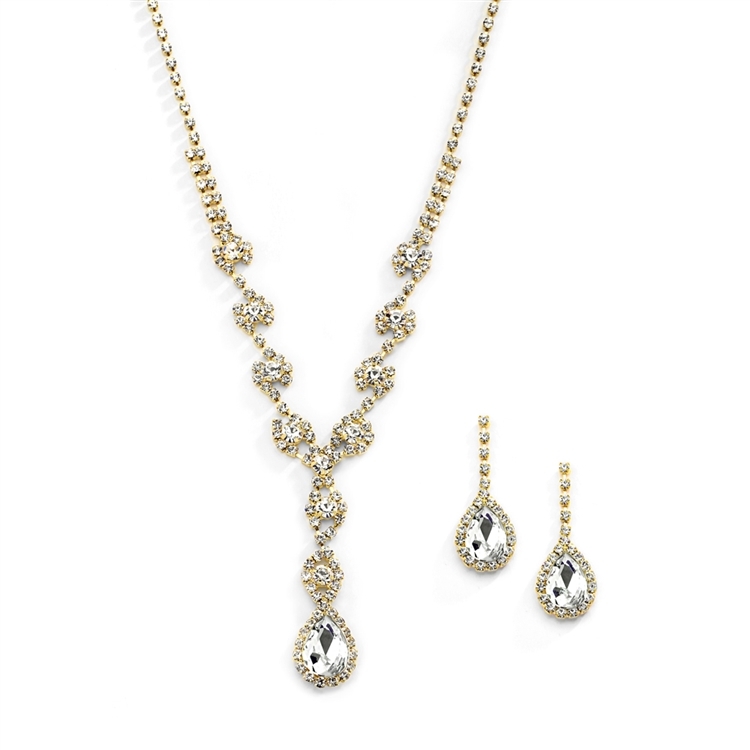 Give your clients the glamour of 14K gold heirloom vintage jewelry with this stunning necklace and earrings set! With a twisted crystal pattern and delicate silver pear drops, this affordable wholesale necklace set is a guaranteed best-seller and prom favorite!